Quietfire Creations: Glitter & Magic! Elizabeth Craft Designs May Designer Challenge. Glitter & Magic! Elizabeth Craft Designs May Designer Challenge. This month's challenge at Elizabeth Craft Designs is to use glitter on a project! That's not a challenge, that just plain fun! I haven't made a wand for quite a while and glitter just screams magic wand to me! And a birthday magic wand is even better! 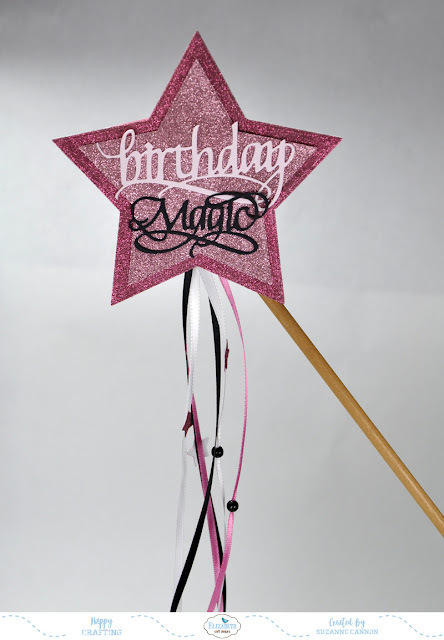 I bet you know someone who needs a magic wand. Which of the new Silk Microfine Glitter Palettes is your favorite, Earth, Beach or Bloom? And now back to our magic wand! 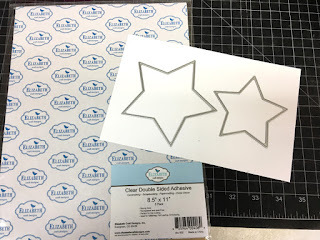 Apply Clear Double Sided Adhesive to a piece of cardstock large enough for the two largest Fitted Stars. Die cut the two largest stars from this. Die cut one large star from pale pink cardstock (this will be be the back). 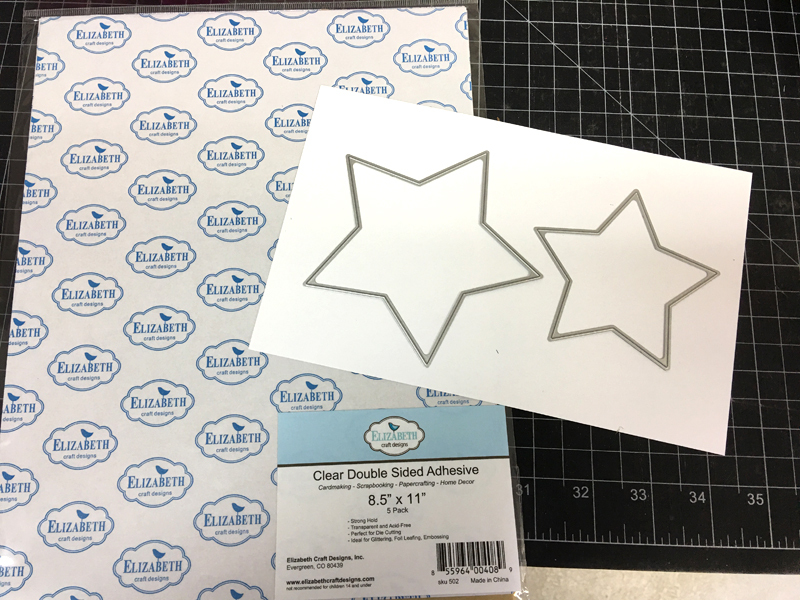 Die cut three of the smallest stars from cardstock covered in Clear Double Sided Adhesive. 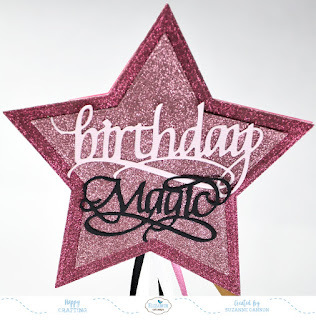 Die cut Birthday from pale pink cardstock and Magic from black cardstock. Remove the release paper from the largest star and cover with Copper Rose glitter. Tap off excess and return to container. Polish the surface of the glittered star with your finger to bring out the shine. Repeat with the smaller star, using Vintage Pink glitter. Repeat again with the smallest stars and Copper Rose glitter. Adhere the larger stars together and add happy and birthday to the front as shown. 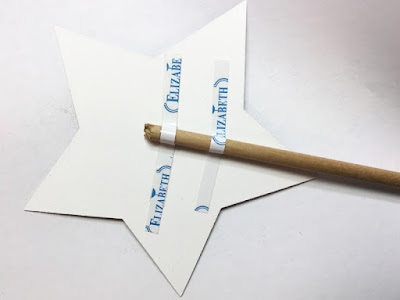 Flip the stars face down and attach to the doweling with strips of tape at the angle that you like best! Cut about two feet of each colour of ribbon. Tape in position, so the ribbon draps below the letters. 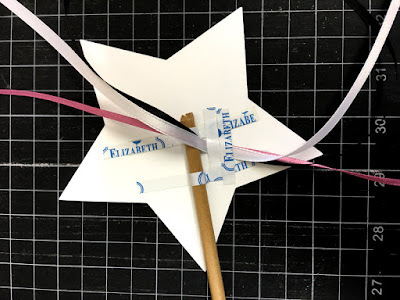 Fold the ribbon over so it all exit from the bottom of the star and adhere the large pale pink star over the back of the decorated star, encasing the doweling and ribbon. Thread beads on the ribbons and stick small stars randomly on the ribbons. Trim the ribbons to the desired length. Thanks for following along! Enjoy making your magic wand. We know the person you give it to will adore it! P.S. Make sure you get over to the Elizabeth Craft Designs Blog to enter the giveaway!